If you include an email address we can inform you of the progress of your order. Some of these, marked with a (P), are pamphlets. These can be printed by the readers themselves. They are set up in MS Word 1997-2003 format for printing in booklet form ("bookfold"), with no layout necessary, on 8 1/2" x 11" letter-size paper in landscape orientation, although they will appear on the screen as single-sided 5 1/2" x 8 1/2" pages (even in print preview). All the reader has to do is print the pamphlet, either using a two-sided printer or photocopied back to back. The covers are set up to print separately on one side in landscape orientation (preferably on a light color paper, such as beige, on 32 lb stock, better than card stock). The pamphlet should then be stapled in the middle (easiest with a saddle stapler available for use at many photocopy stores, or with a long-handled stapler). 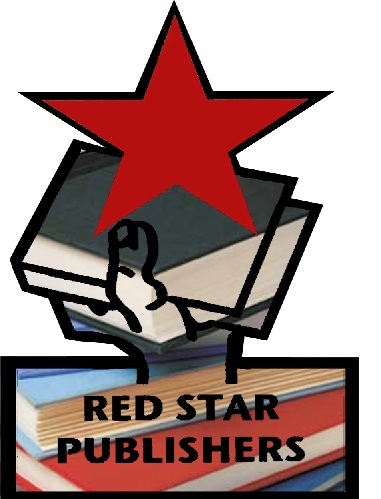 These pamphlets can also be ordered from Red Star. Please note that links on books are just to be able to view the contents and cover. Marx and Engels: Manifesto of the Communist Party, 1848. $5. Marx y Engels: Manifiesto del Partido Comunista, 1848. $5. Marx: Wages, Price and Profit. $5. 1865. Marx: Salario, Precio y Ganancia. $5. 1865. Lenin: What Is To Be Done. 1902. $5.The famous book in which Lenin explained the teachings on the foundation of the party in Russia in opposition to economism. Lenin: ¿Que Hacer? 1902. $5. El famoso libro de Lenin que explico las enseñanzas sobre la fundacion del partido en Rusia y la lucha en contra del economismo. Lenin: The Working Class and Neo-Malthusianism, 1913. (P) $1. Lenin: The State and Revolution, 1917. $5. Stalin: Anarchism or Socialism, 1907. $3. Stalin: Marxism and the National Question, 1913. $4. Stalin: The Foundations of Leninism, 1924. $5. Stalin: Los Fundamentos del Leninismo, 1924. $5. Stalin: Economic Problems of Socialism in the U.S.S.R., 1952. $4. Emile Burns (ed.) A Handbook of Marxism, 1935. $12. This 800-page book contains large sections (not just quotes) from major works of Marxism-Leninism, including the Communist Manifesto, Capital (Vol. 1), Anti-Dühring, Materialism and Empirio-Criticism, Imperialism, State and Revolution, "Left-Wing"Communism, Report to the 17th Congress of the CPSU(b) 1934, and the Program of theCommunist International 1928. A useful work for those who want much of the basics of Marxism-Leninism in one volume. History of the Communist Party of the Soviet Union (Short Course). This is the 400 page history, edited by a Commission of the Central Committee of the C.P.S.U.(B. ), originally published in 1939. $8. Historia del P.C.U.S. La historia editado por una Comisión del CC del P.C.U.S. en 1939, en 400 páginas. $8. Histoire du Parti Communiste (Bolchevik) de l’URSS. Traduction officielle en français de l'«Histoire du PC(b) de l'URSS» de 1939, 400 pages. $8. Rosa Luxemburg's Views on the Russian Revolution, by Clara Zetkin:, 1922, $10 This 225 page book has ben translated into English for the first time. It shows how Luxemburg, in her actions in the German Revolution after her release from prison in November 1918 until her murder by soldiers in the pay of the Social-Democratic government in Germany in January 1919, in practice took the same positions as the Bolsheviks in the Otober Revolution. It is an important exposure of the Social-Democrats in Germany and around the world, who try to assert that Luxemburg was one of them. Trotskyism: Counter-Revolution in Disguise, by M.J. Olgin, 1935. $6. Why Communism? Plain Talks on Vital Problems, by M.J. Olgin, 1935. $4. Political Economy: A Beginner's Course, by A. Leontiev, 1935. $5. This 232 page book is an excellent introdiction to reading Marx's Capital. Besides covering some of the main topics in the first volume of Capital, it explains Lenin's analysis of imperialism and the question of crises, including data related to the crisis of the 1930s (the Great Depression). The United Front, by Georgi Dimitrov, 1935-1937. $7. the famous speeches at the 7th Congress of the Communist International, this edition includes 18 other speeches and articles dealing with the application of the united front in various countries over the following two year. Textbook of Marxist Philosophy, by M. Shirokov, 1941. $7. This 400 page book was prepared by the Leningrad Institute of Philosophy and is a comprehensive exposition of dialectical and historical materialism. On the Struggle Against Revisionism, Communist Party, U.S.A., 1946. $5. The fight against Browderism in the struggle to re-establish the CPUSA. Important lessons for today. Marxist Glossary, L. Harry Gould, 1948. $4. An 82 page book containing definitions and explanations of common Marxist terms, many including brief quotes from Marx, Engels, Lenin and Stalin further elucidating how these terms have been used. Communism versus Opportunism, by Fergus McKean. 1946. $9. This 290 page book is by a former leading member of the Communist Party ,of Canada and describes his fight against revisionism during and after World War II. Materialism and the Dialectical Method, Maurice Cornforth, 1953. A very readable explanation of dialectical materialism in 122 pages. This is the original edition of the book, before revisionist editorial changes. $5. Also available in downloadable Word or pdf format. History of the Three Internationals, William Z. Foster, 1955. $8. This 458 page book contains Foster's detailed description of the work of the First, Second and Third Internationals. Unity & Struggle #37. October, 2018. $5. Journal of the International Conference of M-L Parties and Organizations. Special issue on the bicentenary of Marx's birth. Some earlier issues are available for $2. The contents of earlier issues can be seen at: http://cipoml.net/en/?cat=3. Please check with webmaster at email address above. Unidad y Lucha #37. Octubre, 2018. $5. Organo de la Conferencia Internacinal de Partidos y Organizaciones M-L. Numero especial del bicentenario del nacimiento de Marx. Algunos numeros anteriores estan disponibe por $2. Los contenidos de numeros anteriores se puede ver en: http://www.cipoml.net/es/?cat=6. Favor de contactar el maestro del sitio por el correo electronico arriba. Revolutionary Democracy, October, 2018. $6. This ML journal from India contains information on the revolutionary movement in India, China, Russia and other countries. Revolutionary Democracy. April 2018. $6. Some earlier issues are available for $2. The contents of earlier issues can be seen at: http://www.revolutionarydemocracy.org. Please check with webmaster at email address above. John Reed: Diez días que estremecieron al mundo,1919, en español. El famoso libre sobre la revolución rusa. 336 pág. $8. The Road to Life (An Epic of Education), A.S. Makarenko. This 3-volume set is an autobiographical novel describing the formation of the Gorky Colony in the Soviet Union in the 1920s, which Makarenko headed. After the Civil War, homeless youth roamed the country. The colony successfully integrated them into the new socialist life through collective labor and self-discipline. $5 each volume. The USSR and Finland, Historical, Economic, Political Facts and Documents. 1939. (P) $1. Cover. A background to the Soviet Finnish war. Internet only. The Soviet Power: The Soviet Sixth of the World, Hewlett Johnson, 1940. $10. A sympathetic account by the Dean of Canterbury, of the building of socialism in the Soviet Union. Johnson sees socialism as the actual fulfillment of the principles of true Christianity. Mission to Moscow, Joseph E. Davies, 1943. Internet only. Michael Sayers and Albert Kahn, The Great Conspiracy against Russia. 1946. $11. This classic book explains the imperialist and Trotskyite conspiracies against the Soviet Union. Steel and Slag, Vladimir Popov, 1951. $6. This is a 284 page socialist realist novel that takes place in a steel mill in the Ukraine that had to relocate to the Urals during World War II. It deals with the transformation of people under adversity, some becoming hardened as steel, some degenerating into slag. History of the U.S.S.R., Andrew Rothstein, 1950. $8. A 400-page history by a leading member of the then-revolutionary Communist Party of Britain. This gives many details of the economic and political history of the Soviet Union not included in the History of the Communist Party of the Soviet Union. A People Reborn, the Story of North Ossetia, edited by Andrew Rothstein, 1954. A report by a British delegation on a visit to the Autonomous Republic in the NorthCaucasus. Internet only. Chapter 5: A Student in Moscow, Cover 5 (P) $1. Chapter 6: Trotsky's Day in Court, Cover 6 (P) $1. Chapter 7: The Lenin School, Cover 7 (P) $1. Chapter 8: Self-Determination: The Fight for a Correct Line, Cover 8 (P) $1. Chapter 9: Sixth Congress of the Comintern: A Blow Against the Right, Cover 9 (P) $1. Chapter 10: Lovestone Unmasked, Cover 10 (P) $1. Chapter 11: My Last Year in the Soviet Union, Cover 11 (P) $1. Chapter 14: Reunion in Moscow, Cover 14 (P) $1. Fraud, Famine and Fascism: The Ukrainian Genocide Myth from Hitler to Harvard, Douglas Tottle, 1987. $6. Sovietica, Irina Malenko. This is a three-volume novel, about 500 pages each, the first volume of which is mostly about life in the former Soviet Union. All volumes are available for $30 each from Red Star. People’s Democracies, Wilfred Burchett. 1951. This 265 page book by the Australian journalist (mostly known from movies showing the only Westerner travelling with the NLF of Vietnam) describes his experience reporting from Eastern Europe in the early post-World War II period. $8. Rumanian Summer, Jack Lindsay with Maurice Cornforth. 1953. $5. This 170 page book, with pictures, gives a portrait of the Rumaniann People's Democracy before the advent of revisionism. This Monstrous War, Wilfred Burchett. 1953. $6. This 288 page book presents the Korean War and the armistice negotiations from the side of the Korean People's Army and the Chinese People's Volunteers. When this book was sent to the United States in late 1953, it was seized by the U.S. Customs and dumped into the ocean, so this is the first time it is available in the U.S.
Koje Unscreened, Wilfred G. Burchett, 1953?.On the treatment of Korean and Chinese prisoners in the notorious U.S.-run prison camp during the Korean War. Internet only. When Serfs Stood Up in Tibet, Anna Louise Strong. $6. This 230 page book, by a member of the first group of outside correspondents to visit after the suppression of the counter-revolution in 1959, is a fascinating account, based on many conversations with former serfs. For a United Front May Day!, 1936. (P) $1. Black and Red: The Role of Communists in the Black Liberation Movement. 2015. (P) $2. Cover. A 31-page reprint of short articles from African-American Communists. Resolution of the Comintern on the South African Question, 1928. (P) $1. Communist Party of Spain: For a Democratic Spain!, 1936. (P) $1. On the Communist Approach to Zionism, 1936. (P) $1.